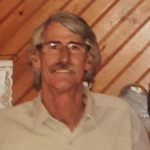 Robert “Bob” McFadden, 67, of Lipan, passed away Monday, September 10, 2018. Service: 3:00 PM, Thursday, September 13, 2018, First Baptist Church, Lipan, Interment: Evergreen Cemetery, Lipan, Visitation: 6:00 PM – 8:00 PM, Wednesday, September 12, 2018, Wiley Chapel, Lipan. Bob was born May 23, 1951 in Independence, Kansas to Doris Juanita Wilson and Thomas “Jack” McFadden. He proudly served in the United States Army. On October 18, 1975, in Mineral Wells, Texas, Bob married the love of his life, Diane Sims. They were married almost 43 years. He was a loving husband, father and grandfather. He loved dancing with his wife and being with friends and family. Bob enjoyed camping and spending time on the lake. He was a voracious reader and enjoyed watching old westerns. Bob was a hard working postal worker, who retired in November 2017 after 28 years of service. He was an active member of Church of God. Bob was preceded in death by his parents and two siblings. Bob is survived by his loving wife: Diane McFadden; children: Gary McFadden and wife Charity, Michelle Smith and husband Tray, and Christopher McFadden; grandchildren: Joey, Carter, Elizabeth, Lance, Gavin, and Kaelyn; siblings: Phil Phelps, Jackie Moore, Mary Jane McFadden, Sharon Jontra, Inez Meeks, Alveta Bishop, and Richard McFadden and multiple nieces and nephews. Be the first to share a memory of Bob .